We have variety of decent premium WordPress themes at Weblizar. 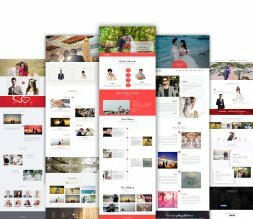 Our themes are incredible & easy to use, even for a novice WordPress user. We have put in a lot of effort in all our themes, free and premium both. Each of our Premium themes has a corresponding free version so that you can try out the theme before you decide to purchase it. 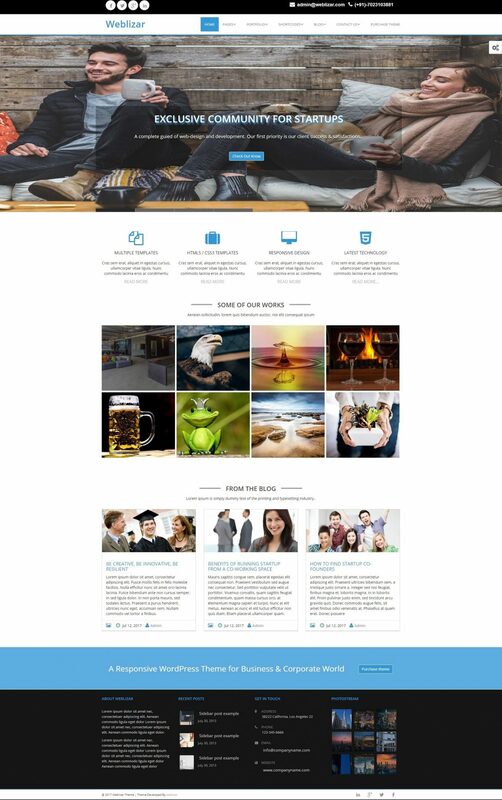 Responsive Corporal Premium Weblizar WordPress Theme Corporal Premium is a responsive and fully customizable template for Business and Multi-purpose theme. You can use it for your business, portfolio, blogging etc. Custom menus to choose the menu in Primary Location that is in Header area of the site which is ideal for creating a corporate/business website.